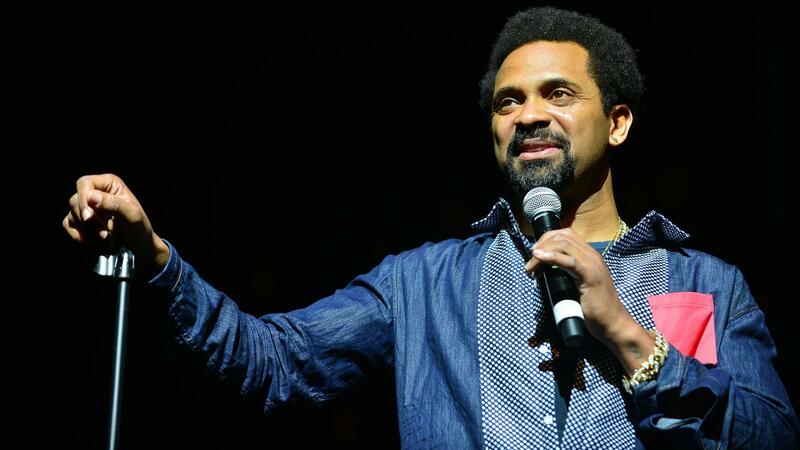 According to TMZ, Mike Epps took to Instagram and Facebook late on Thursday night to share a picture of a black man whipping white slaves. The picture, which has since been deleted, shows three white men without shirts in a cotton field while a black man stands over them cracking a whip. A smiling Dr. Martin Luther King Jr. can be seen floating on the top left-hand side of the image. However, fans of the comedian were less than impressed and failed to see the humor in the picture, and Epps was reportedly slammed for the post, which many deemed to be insensitive and racist. It’s not certain if Epps thought that this was in fact a humorous image, or if it was a bid for attention for his role in an upcoming biopic in which he plays Richard Pryor — an influential and controversial American comedian, actor and social critic, among other things. It is also important to note that Epps will hosting a new AOL 10-episode series called That’s Racist with Mike Epps. The series will follow Epps as he interviews people about racist stereotypes. According to USA Today, the first five episodes of the series will be available on Monday, Jan. 26 and the remaining episodes will be released March 2. TMZ has reached out to Epps for comment but there has been no word back yet. However, the gossip site did put a poll up on their blog to ask readers if they thought the image was racist or just a joke. The consensus? Currently out of almost 33,000 people, 61 percent of them feel that the picture is racist. We’d love to know what you think: Was Epps right to post such a controversial image? Tell us in the comments below.